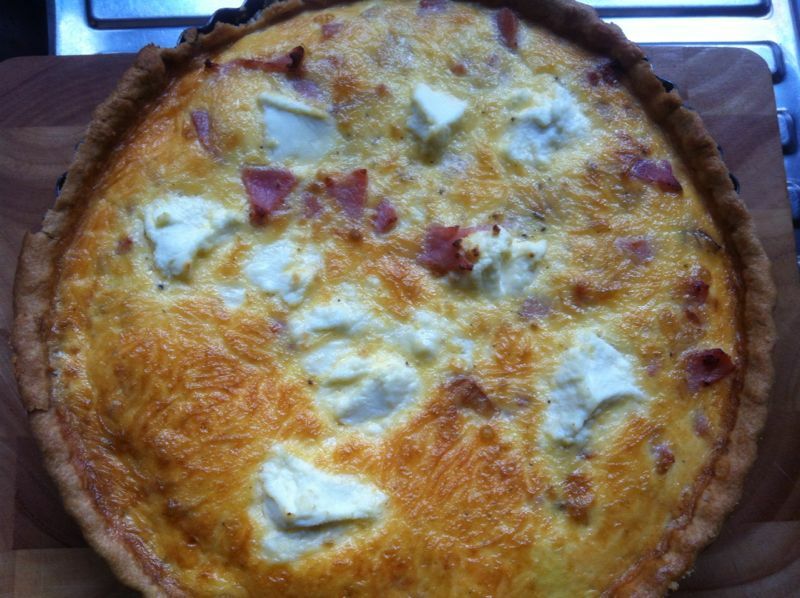 I'm a creature of habit when it comes to making, what I consider, a quick dinner; it usually ends up being some kind of puff pastry tartlet (see here and here), so I ventured out of my comfort zone a little and made a quiche. 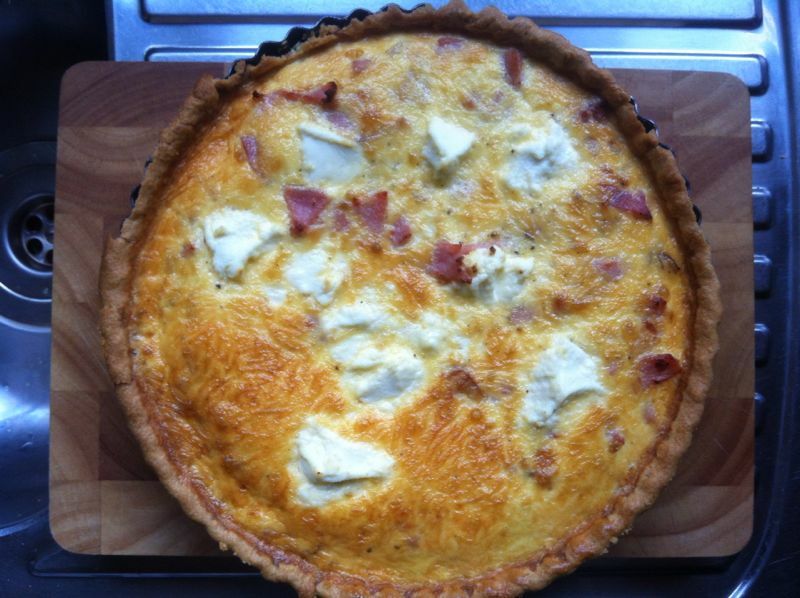 I love quiche but because of my slight intolerance to dairy, I have to be very careful and limit myself to only having a little bit. 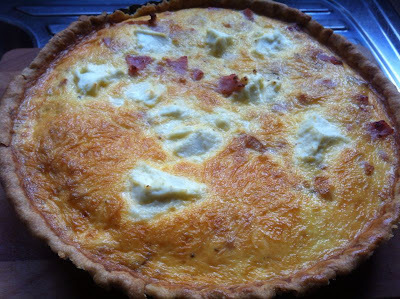 This recipe contains NO cream at all but creme fraiche instead and a little ricotta - both of which don't seem to upset my intolerance too much. 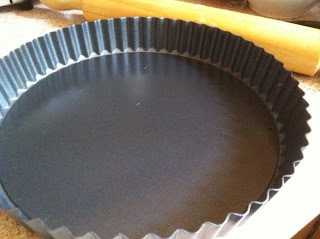 You will need a 23cm flan/tart tin of about 3-4cm depth. First things first, preheat your oven to 180 (fan assisted) and lightly grease your baking tin. 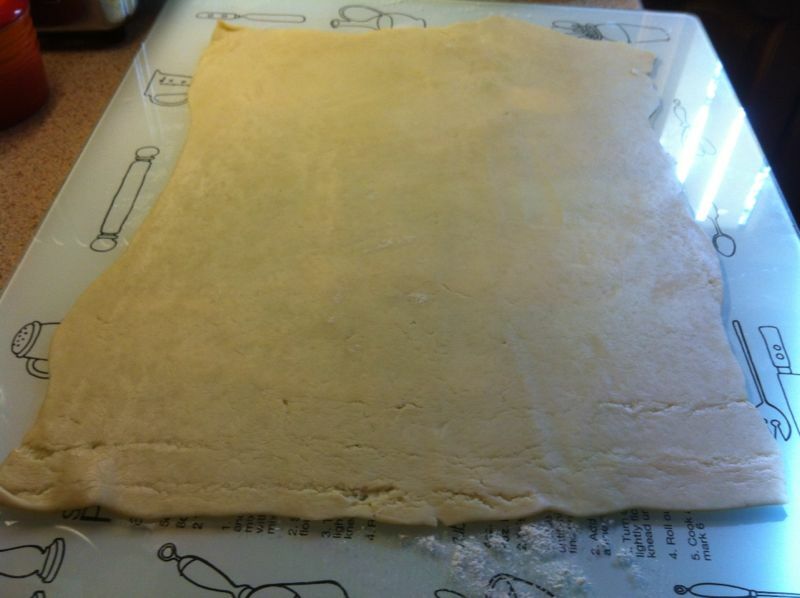 Roll out the shortcrust pastry onto a pastry board. 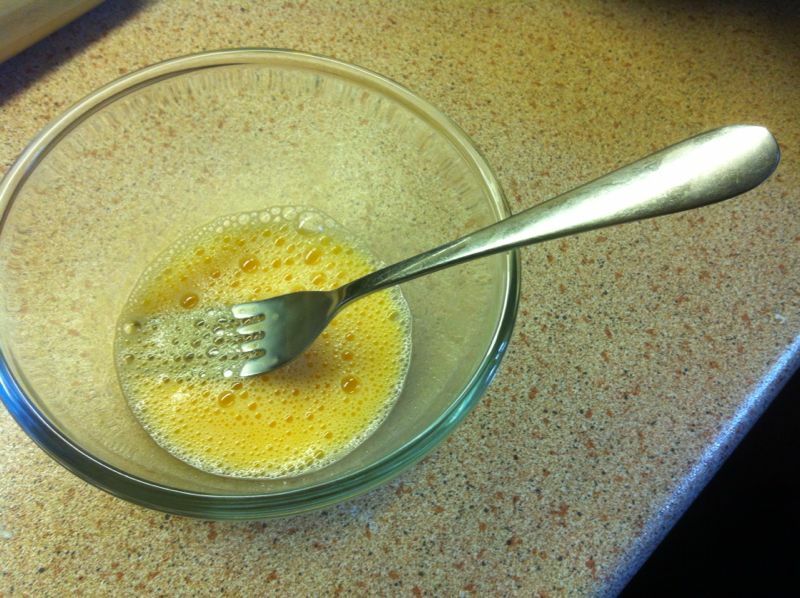 Beat one egg in a bowl and add a tablespoon of water to create an egg wash. 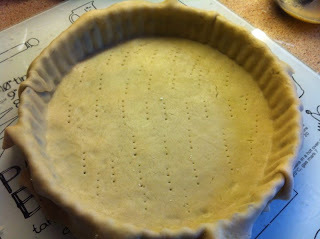 Roll out the shortcrust pastry into the greased tin and gentley make holes in the bottom with a fork. 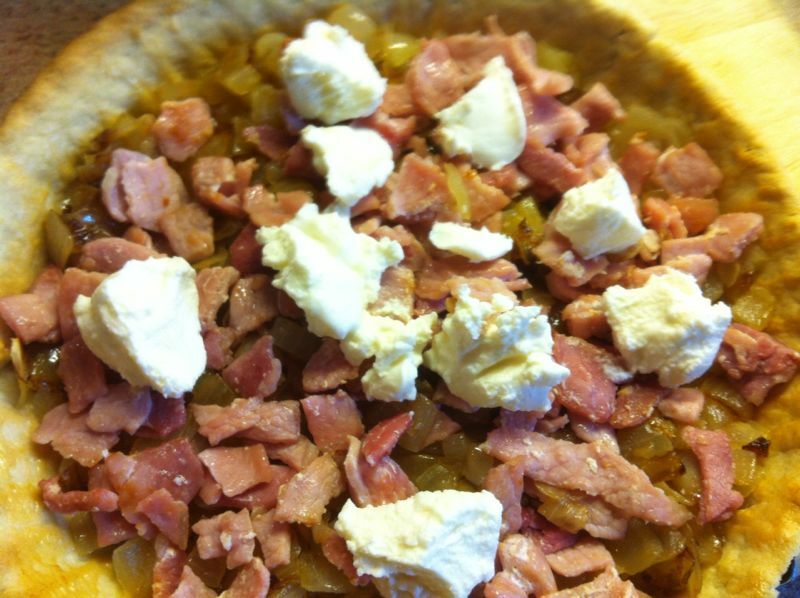 Pop in the oven for 3 or 4 minutes. Use this to baste the pastry. Cut up you bacon and fry on a medium to low heat. In a seperate frying pan, fry the onions on a low heat for around 10-15 minutes - allowing them to soften rather than go brown/crozzled. 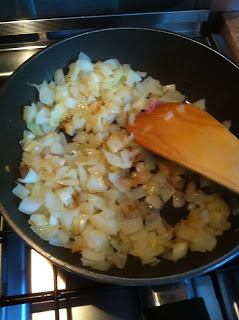 Add the fried bacon and onions to the tin and scatter lumps of ricotta over the top. You'll then need to whisk up your remaining 4 eggs with the creme fraiche and some pepper (to season) and pour this over the quiche filling. When the mixture is all poured over the filling, pop in the oven for 30-40 minutes. 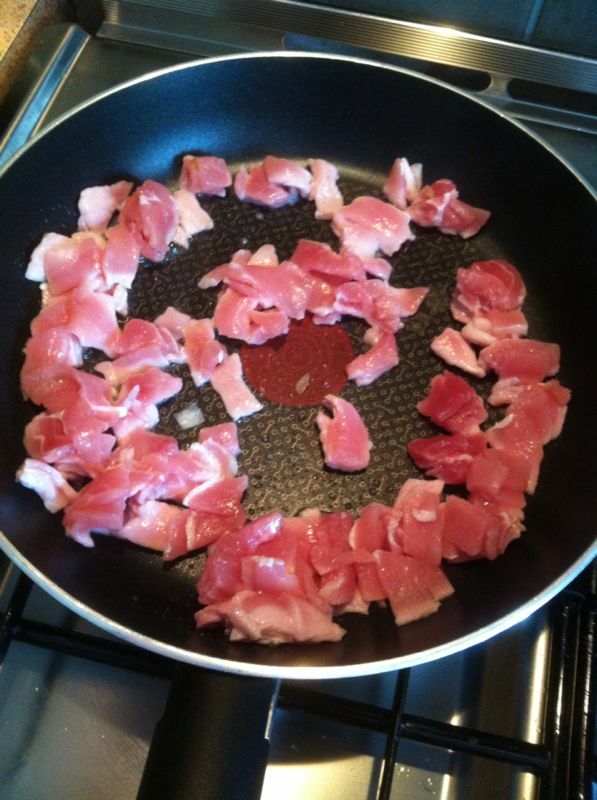 I had mine with a tasty side salad and some beetroot! And, unfortunately, it was one of those things where I had one slice...and I had to have more.